If your colleagues and clients gave you a soft skills scorecard, how would they rate you? Now, those of you on the sales, marketing and even HR side of the table may feel you get a free pass out of this conversation. Typical hiring processes favor an extroverted “people person” who finds it easy to converse. With just about anyone. And anything. Except that stereotype isn’t quite right, is it? Because some colleagues and clients make you feel uncomfortable, tongue-tied and, well, unintelligent. So, you avoid “those” conversations. Or, worse, you go silent and do not make important contributions. And, let’s face it, it works both ways. Let’s explore together. Download my One Millimeter Mindset™ 6 Professional Development Targets worksheet. Catalyze your own professional development trajectory. Make a bigger impact on your career: Today, Tomorrow and in the Future. 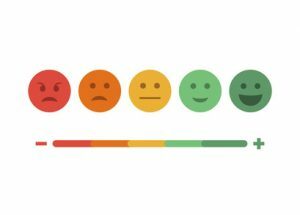 If those operations, manufacturing, engineering and technical colleagues gave you a soft skills scorecard, how would they rate you? You know, the colleagues and technical decision makers who make you feel out of place and disrespected. The same soft skills which make business people desirable for marketing and sales functions frequently turn off other colleagues in the workplace. These technically-oriented colleagues “hear” your conversations as unsubstantial and unfocused, compared to their terse conversational style. Often business conversations “sound” like buzz words or memorized questions that are not-in-the moment. Because the marketer or seller is uncomfortable to move into uncharted, unchoreographed waters. When people do not understand what you are saying, they cannot understand what you can do for them and with them. How much profitability is lost due to workplace communication disconnects? What might your professional success roadmap look like if you focused on developing soft skills and acumen essential to bridging the cross-functional communication gaps which erode profitability? Earn greater respect and appreciation of your professional expertise, no matter in what functional role you serve. Get started overcoming your intimidation when working with or selling to technical professionals. Download my white paper “New Strategies for Selling to Skeptical Technical Decision Makers” by clicking on this link. Alternatively, if business colleagues gave technically-oriented professionals, like you, a soft skills scorecard, how would they rate you? Far too often, technical professionals intimidate their non-technical workplace colleagues. Due to professional behavior and communication patterns which marginalize, rather than include. Consider the loss in profitability generated when at least half of the room in a meeting does not understand the discipline-specific terminology you persist in using. This terminology reinforces the notion that you are the smartest person in the room. And everyone else who cannot understand what you are saying? Well then, they obviously are not as smart as you? What potential collaborative value – and innovation – is lost when people do not understand what you are saying? As a result of intimidating, often discipline-specific behavior patterns, business people tune out and turn off. Because they cannot be in-the-moment, when that moment is your intellectual moment, alone. And not your collective moment, shared collaboratively. At the end of this week, give yourself a soft skills scorecard. Evaluate whether, or not, your soft skills are inclusive or exclusive. Then take these next steps. Stuck in a professional rut? Book a 45-minute strategy session with me. Babette Ten Haken is a professional speaker specializing in customer retention. Her One Millimeter Mindset™ speaking programs and workshops improve communication in organizations with disparate or siloed groups, especially in industries with technically-focused stakeholders. Her playbook of communication hacks, Do YOU Mean Business? is available on Amazon.com. Babette’s speaker profile is on the espeakers platform.